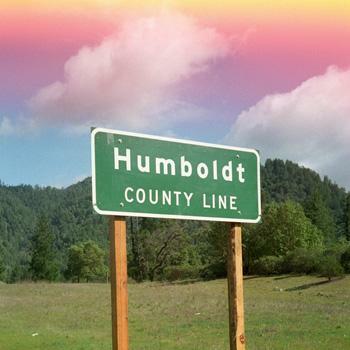 Ever up Humboldt County way? If you’re ever up Humboldt County way, say “high” for me. I sure do appreciate those hard-working pot-farmers up there in Humboldt (as well as Mendocino) County, CA, USA, where some of the world’s best marijuana comes from. It’s just too damn bad that it has to be SO damn expensive. I mean – on average, one pays $20 a gram for that stuff – even at the legal medical dispensaries in California. Of all places – a dispensary that claims to be there to help those who are suffering badly from a range of diseases, including AIDS, cancer, asthma, glaucoma, even anorexia, as it helps the appetite, not to mention myriad other disorders, with which smoking the ganja can help, not just in appetite ways, but also by reducing stress, and as a substitute for the awful scourge of big pharma, who sell life saving meds in America for several times more than in other countries, including Canada, Mexico and in various African countries. Their propagandists – usually some hot little babe who is spoon-fed info by those who have the brains to know what they’re talking about – say it’s because the stuff in America is so much better because it’s more highly regulated and so forth – well, if that’s true, than why the hell are they shipping sub-par drugs to other countries? Why because it’s good for biz and that’s really what the drug BUSINESS is all about first and foremost – that’s why the call it the “Drug Business” – but marijuana has no harmful side effects, is perfectly safe, has never, ever caused any deaths, has only had positive results (unless you count the lethargy that can come from getting too stoned – when that happens you just need to eat something and have a cup of coffee and then you’re back to normal and can still feel the effects of the weed – if it’s the great, sticky bright green seedless bomb). So, it’s time to regulate pharmaceuticals much more tightly – at least in other countries – if I were the head of a country where they were shipping in sub-par drugs because it was cheaper, I would demand to be getting the same stuff that Americans get – and if every country in the world did that and refused to pay extortionate prices for them in tandem with US congressional oversight to the same effect, then I think you’d see a change – albeit slight, but change nonetheless. Still, though, pharma drugs of the same type will never take the place of organic, safe pot. Now, of course, there are great and necessary drugs like antibiotics -which must be taken sparingly – not only when you have a cold – in which case they won’t do a damn thing because colds and flus are VIR– USES and antibiotics only kill BACTERIA – they don’t do a damn thing to stop viruses, so it’s not only a waste of time to take antibiotics for viruses but it will just end up building up, in your body, a resistance to them when you really need them. But luckily, stronger and stronger antibiotics are always being developed. But if stupid people would quit overtaking them right now, then we wouldn’t be creating resistances to them – unfortunately, also, cows are inundated w/antibiotics in order to make them “healthier” – and what does that do? Well, when they’re slaughtered and we make steaks and hamburgers out of them, the a/b’s are still around and so we’re also ingesting antibiotics when we eat most meat (it’s not only cows but pigs, chickens, sheep, etc), so I’d recommend eating meat that has some proof or sign of not having any antibiotics or any strange growth hormones, etc, which meat eaters inevitably end up eating, see? That is why big pharma is so dangerous and out of control, yet they’re perfectly legal and huge business, whereas harmless marijuana is labeled as a “dangerous drug” – dangerous to whom? To the profits of the pharmaceutical companies and not to any humans or other living organisms!!! So just remember that. Smoke pot and eat drug (pharmaceutical drug)-free meat!